In the vast majority of patients with hereditary angioedema (HAE), angioedema attacks are due to the quantitative or functional deficiency of C1-esterase inhibitor (C1-INH), which leads to increased vascular permeability and unregulated release of bradykinin. Exogenous administration of C1-INH is a rational way to restore the concentration and functional activity of this protein, regulate the release of bradykinin, and attenuate or prevent subcutaneous and submucosal edema associated with HAE. Recent international guidelines for the management of HAE include C1-INH as an option for acute treatment of HAE. In addition, these guidelines recommend C1-INH as first-line treatment for long-term prophylaxis and as the therapy of choice for short-term/preprocedural prophylaxis. Several C1-INH products are available, with approved indications varying across regions. For the acute treatment of HAE, both plasma-derived and recombinant C1-INH formulations have been shown to be effective and well tolerated in adolescents and adults with HAE, with onset of relief within 30 min to a few hours. Plasma-derived C1-INH is approved for use in children, and recombinant C1-INH is being evaluated in this population. Intravenous (IV) and subcutaneous (SC) formulations of C1-INH have been approved for routine prophylaxis to prevent HAE attacks in adolescents and adults. Both formulations when administered twice weekly have been shown to reduce the frequency and severity of HAE attacks. The SC formulation of C1-INH obviates the need for repeated venous access and may facilitate self-administration of HAE prophylaxis at home, as recommended in HAE treatment guidelines. As with most rare diseases, the costs of HAE treatment are high; however, the development of additional acute and prophylactic medications for HAE may result in competitive pricing and help drive down the costs of HAE treatment. Hereditary angioedema (HAE) is an autosomal dominant genetic disorder resulting from mutations in the SERPING1 gene that give rise to a deficiency in the quantity or function of endogenous C1-esterase inhibitor (C1-INH). C1-INH plays a crucial regulatory role in multiple systems, most notably the complement system and the intrinsic coagulation (contact) system . The role of C1-INH in the contact system is most relevant to the pathophysiology of HAE. C1-INH is the primary regulator of the contact system, where it inhibits the activity of factor XIIa and plasma kallikrein, two enzymes that regulate the formation of bradykinin (Fig. 1). Under conditions of C1-INH deficiency, uncontrolled activation of the contact system leads to overproduction of bradykinin, a potent vasoactive peptide thought to be the primary mediator of angioedema in HAE. In this process, factor XIIa converts prekallikrein to kallikrein, which catalyzes the cleavage of high-molecular-weight kininogen (HMWK) to produce bradykinin. Factor XIIa acts on factor XII in an autoactivation cycle that results in generation of additional factor XIIa. In addition, with C1-INH deficiency, kallikrein activity is less controlled, resulting in increased conversion of HMWK to bradykinin [2, 3, 4]. Bradykinin production results in increased vascular permeability and release of nitric oxide and prostaglandin E, which further increase vasodilation and extravasation of fluid into subcutaneous tissues. These effects manifest as the characteristic edema in HAE of subcutaneous tissues, as well as the submucosa of the gastrointestinal, genitourinary, and upper respiratory tracts . Späth et al. examined the relationship between C1-INH concentration and apparent functional activity in plasma samples from 21 patients with HAE due to C1-INH deficiency (C1-INH-HAE). In this study, C1-INH concentrations > 0.075 g/L were not associated with an attack of edema, and attacks were most frequent when the C1-INH concentration was < 0.035 g/L. These results support the concept of a functionally critical level of C1-INH concentration . Kaplan et al. also found that when C1-INH functional activity was below 30%, there was insufficient inhibition of bradykinin-forming enzymes, increasing the likelihood of an HAE attack . These findings suggest that when C1-INH concentration, and therefore C1-INH functional activity, falls below a certain threshold due to either a quantitative deficiency of C1-INH protein (C1-INH-HAE type I) or a dysfunctional C1-INH protein (C1-INH-HAE type II), the risk of an attack increases . Therefore, in C1-INH-HAE, exogenous administration of C1-INH is a rational way to restore the concentration and functional activity of this protein, regulate the release of bradykinin, and attenuate or prevent subcutaneous and submucosal edema associated with C1-INH-HAE. Pharmacokinetic studies have shown that exogenous C1-INH, administered intravenously or subcutaneously, results in an increase in C1-INH concentrations and functional activity, increased C4, and a decrease in cleaved HMWK, a surrogate marker of bradykinin production . This paper reviews the use of C1-INH formulations in the acute and prophylactic treatment of HAE, based on their approved indications in the USA and in the context of current guidelines for HAE treatment. The availability of new and effective medications for treating HAE has improved clinical outcomes of HAE management. However, choosing and implementing the optimal treatment for an individual patient remains a challenge for physicians. 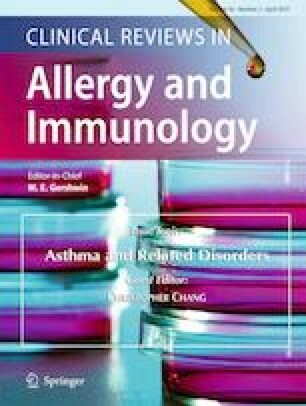 To address these challenges, a number of consensus recommendations and guidelines for HAE management have been published, including guidelines recently issued jointly by the World Allergy Organization (WAO) and the European Academy of Allergy and Clinical Immunology (EAACI) [7, 8, 9, 10]. All these consensus documents share the following principles: (1) HAE therapy needs to be individualized, (2) all patients should have access to acute (on-demand) treatment, and (3) some patients require long-term and short-term prophylaxis (Table 1) [7, 8, 9, 10]. 1. All angioedema symptoms are eligible for treatment. 3. Initiate effective therapy early in the course of an attack. 4. Self-administered acute medication should be used whenever possible. 5. Airway angioedema requires emergent clinical evaluation. 6. Acute treatment plan should be reviewed periodically to ensure effective treatment of HAE symptoms. 2. Efficacy and safety of the prophylactic regimen should be assessed periodically at clinical follow-up. • Dosage and/or treatment intervals should be adjusted based on clinical response. • Need for long-term prophylactic therapy should be assessed at every clinical visit, at least once per year. 3. All patients should continue to have effective, reliable on-demand medication in case of breakthrough attacks. The WAO/EAACI guidelines emphasize the development of an individualized management plan for every HAE patient . Due to the substantial variability in symptom frequency, severity, and response to treatment, it is necessary to tailor and adjust HAE treatment plans to fit each individual’s needs. The WAO/EAACI guidelines recommend that individuals affected by HAE consult with a clinician familiar with the condition and the various HAE treatment options. When possible, care should be delivered by clinics with expertise in HAE . The HAE treating physician should assist in the development and implementation of an effective management plan and communicate with other health-care providers regarding medical issues related to HAE. Patient and family education is an additional important component of treatment that can be facilitated by the HAE physician. Patients should be familiar with the signs, symptoms, and natural course of HAE episodes and the risks of untreated attacks. All first-degree relatives should be screened for HAE [7, 8, 9, 10]. The first priority for HAE treatment is to establish a plan to treat angioedema episodes with an effective medication. Acute or “on-demand” treatment is critical to prevent mortality and minimize morbidity and disability related to angioedema symptoms. Each patient, in consultation with his/her HAE specialist, should review the acute treatment options and consider differences with regard to medication side-effect profile, route of administration (intravenous [IV] vs. subcutaneous [SC]), and source of production (plasma-derived [pd] vs. recombinant vs. synthetic molecules). Efficacy differences may be observed in some individuals despite proven efficacy of each drug for HAE attacks in rigorous clinical studies. Following selection of acute medication, the logistics of the on-demand treatment plan should be established. This includes patient understanding of treatment details, such as proper medication dosing, who will administer the medication, when the medication will be given, where the medication will be stored, how the medication will be refilled, and a back-up emergency plan if planned treatment is unsuccessful [7, 8, 9, 10]. Current guidelines emphasize that all angioedema symptoms are eligible for treatment and recommend treatment with effective medication early in the course of angioedema attacks to minimize the severity of symptoms and to achieve complete resolution of symptoms as quickly as possible (Table 1) [7, 8, 9, 10]. Due to the unpredictability of HAE attacks, consensus guidelines have strongly recommended self-administered acute medication whenever possible . This reduces delays in treatment that occur when patients must go to a clinic or hospital for drug administration and may reduce the overall treatment costs for these patients compared with hospital-based therapy [11, 12]. Evidence has shown that the earlier an attack is treated, the sooner it resolves; self-administration of acute medications, therefore, can significantly reduce the time to symptom resolution [13, 14, 15]. Current evidence supports successful treatment of most angioedema attacks with patient self-administration of effective medication outside the health-care setting, but airway angioedema requires emergent clinical evaluation [16, 17]. The WAO/EAACI global guidelines emphasize that patients with HAE worldwide should have access to effective on-demand medication and that home- and self-administration are preferred because they reduce morbidity, absenteeism, costs, disease burden, and potentially mortality, as well as improve quality of life . The acute treatment plan should be reviewed periodically at follow-up with the HAE expert to ensure ongoing reliable, efficient, and effective treatment of HAE symptoms [7, 9]. When developing the HAE management plan, clinicians should consider long-term prophylactic therapy as an important option for many patients, particularly for patients who are severely symptomatic (Table 1) [7, 8, 9, 10]. Long-term prophylaxis refers to the use of medication on a scheduled routine to prevent or reduce the frequency and severity of angioedema episodes and reduce the burden of disease for patients. Consensus treatment guidelines state that the decision to use long-term prophylactic therapy should be individualized based on a number of clinical factors discussed between the patient and the HAE specialist [7, 8, 9, 10, 18]. Strong consideration should be given to the frequency and severity of angioedema attacks, anatomical location of symptoms, response to on-demand therapy, access to emergency medical care, other medical comorbidities, and patient preferences [7, 9, 10]. As these factors can change over time, the 2017 WAO/EAACI guidelines recommend that the need for long-term prophylaxis be assessed at every clinical visit, at least once per year . As the goal of the HAE management plan is to restore normalcy to patients’ lives, prophylactic therapy should be strongly considered when on-demand treatment alone does not achieve this goal. However, for some patients, implementation of long-term prophylaxis immediately at the time of diagnosis is reasonable if warranted by the severity of symptoms and associated disability [7, 9]. The potential benefits of long-term prophylactic therapy must be weighed against the treatment burden and potential adverse effects of the prophylactic regimen. The efficacy and safety of any long-term prophylactic regimen should be assessed periodically at clinical follow-up. Doses and intervals should be adjusted based on clinical response [10, 19]. Long-term prophylactic therapy may be discontinued or reintroduced in some patients, depending on HAE symptom activity or variability in known triggers that occur periodically such as pregnancy, predictable work or school stress, travel, or worsening of other health conditions. Importantly, patients on long-term prophylactic therapy must continue to have an effective, reliable on-demand treatment plan, as breakthrough angioedema symptoms may occur with any of the available preventive medications [7, 8, 9, 10]. A final component of the HAE management plan is the use of short-term prophylaxis when indicated. Short-term prophylaxis should be implemented prior to medical, surgical, or dental procedures that may trigger HAE attacks [10, 20]. Generally, this includes procedures involving tissue incisions and/or manipulation of the airway or gastrointestinal tract (i.e., oral surgery, intubation, endoscopy) . Angioedema attacks in patients with C1-INH-HAE are due to the quantitative or functional deficiency of endogenous C1-INH. C1-INH therapy attempts to correct this underlying deficiency/dysfunction by replacing the protein and increasing C1-INH functional activity . In the acute setting, intravenous (IV) C1-INH replacement can be used to treat attacks once symptoms are recognized. C1-INH may be also used IV as short-term prophylaxis before a medical procedure or other potential triggering events and used IV or subcutaneously as routine long-term prophylaxis to prevent angioedema attacks. The 2017 WAO/EAACI guidelines for management of HAE include C1-INH as an option for acute treatment of HAE. In addition, these guidelines recommend C1-INH as first-line treatment for long-term prophylaxis and as the therapy of choice for short-term prophylaxis . In the USA, two formulations of C1-INH—one plasma-derived (pdC1-INH) and one recombinant (rhCI-INH)—are approved for acute treatment of HAE attacks (Table 2). The pdC1-INH concentrate (Berinert® [C1 esterase inhibitor, human], CSL Behring) is indicated for the treatment of acute abdominal, facial, or laryngeal HAE attacks in all patients, with no age restriction. It is administered as an IV injection at a recommended dose of 20 IU/kg . The rhC1-INH formulation (Ruconest® [C1 esterase inhibitor, recombinant], Pharming) is derived from the milk of transgenic rabbits, and has the same amino acid sequence and functional inhibitor properties as the endogenous protein, but with different glycosylation patterns [22, 23]. The rhC1-INH product is approved for the treatment of acute attacks in adult and adolescent patients with HAE. The recommended dose is 50 IU/kg administered by IV infusion with a maximum dose of 4200 IU . Two other C1-INH formulations are indicated for routine prophylaxis for angioedema attacks in adolescent and adult patients. Both are nanofiltered, pasteurized, and plasma-derived concentrates that are given approximately twice a week, but one is administered intravenously and the other subcutaneously [24, 25]. The C1-INH (IV) formulation (Cinryze®, Shire) is given as a fixed 1000-IU dose every 3 to 4 days with dose escalation up to 2500 IU as required based on clinical response . The C1-INH (SC) formulation (Haegarda®, CSL Behring) is dosed by body weight at 60 IU/kg and is also administered every 3 or 4 days . In the USA, C1-INH options for the acute treatment of HAE include pdC1-INH and rhC1-INH; both have been proven to be effective in randomized controlled trials (RCTs) and long-term open-label extension studies [21, 23]. Although C1-INH replacement therapy has been in use in Europe for more than 30 years,  the first pdC1-INH concentrate for acute treatment was approved by the US Food and Drug Administration (FDA) only in 2009—this product (Berinert®) is indicated for the treatment of acute abdominal, laryngeal, and facial HAE attacks in adult and pediatric patients and is the only C1-INH therapy approved for the treatment of laryngeal attacks . Approval was based on a randomized, double-blind, and placebo-controlled trial (International Multicenter Prospective Angioedema C1-INH Trial 1 [I.M.P.A.C.T. 1]) in 125 adult and pediatric patients (age range, 6−72 years) with type I or type II HAE . Patients with facial or abdominal attacks were randomized to receive placebo or pdC1-INH at either 10 or 20 IU/kg by IV infusion. The primary endpoint was time from the start of treatment to onset of symptom relief, as determined by the patient’s response to a standard question posed at specific time intervals. Time to complete resolution of all HAE symptoms was a key secondary endpoint . Results showed that median time to onset of relief was significantly shorter with pdC1-INH 20 IU/kg compared with placebo (0.5 vs. 1.5 h; P = 0.0025); for the 10 IU/kg dose, there was no statistically significant difference from placebo (1.2 vs. 1.5 h; P = 0.2731). The reduction in time to onset of relief was greatest for severe attacks (0.5 vs. 13.5 h). Median time to complete resolution of HAE symptoms was also significantly lower with pdC1-INH 20 IU/kg vs. placebo (4.9 vs. 7.8 h; P = 0.0237) . Adverse events that occurred in more than one patient treated with pdC1-INH 20 IU/kg were nausea, abdominal pain, and dysgeusia; most of these symptoms were related to the underlying disease. No seroconversions for human immunodeficiency virus, hepatitis virus, or human B19 virus were observed . The open-label extension of this trial (I.M.P.A.C.T. 2) evaluated the long-term efficacy and safety of 20 IU/kg pdC1-INH in the treatment of successive HAE attacks at any body location. The patient-reported time to onset of symptom relief (primary endpoint) and time to complete resolution of all symptoms (secondary endpoint) were analyzed per patient and per attack. Over a 24-month period, 1085 attacks in 57 patients (age range, 10−53 years) were treated. The median time to onset of relief in the per-patient analysis was 0.46 h and was similar for attacks at all locations (0.39−0.48 h). The median time to complete resolution of symptoms was 5.8 h for laryngeal attacks, 12.8 h for abdominal attacks, 22.7 h for peripheral attacks, and 26.6 h for facial attacks . The Berinert registry study  was conducted between 2010 and 2014 at 30 US sites and 7 European sites to collect real-world prospective (collected after enrollment) and retrospective (collected before enrollment) data on safety and usage of pdC1-INH for any reason (acute treatment, short-term prophylaxis, or both). Based on registry data, 95% of the infusions were administered outside the health-care setting. Among the 296 patients in the safety population studied prospectively, 252 adverse events were reported in 85 patients over 9148 infusions, a rate of 0.03 events/infusion. Of these 252 adverse events, only 9 were considered related to pdC1-INH. Two thromboembolic events occurred in patients with pre-existing risk factors for thrombosis [17, 30]. The WAO/EAACI guidelines recommend that C1-INH be used for the acute treatment of HAE attacks in children < 12 years of age . Plasma-derived C1-INH is approved for on-demand treatment in pediatric patients < 12 years of age and has been shown to be effective and well tolerated in this population [10, 31]. In the USA, the pdC1-INH formulation (Berinert®) is the only acute HAE therapy FDA approved for the treatment of pediatric patients and is approved for home therapy/self-administration . The recommended dose in pediatric patients is 20 IU/kg as in adult patients . The I.M.P.A.C.T. 1 trial enrolled seven pediatric patients (age 10−18 years), and the open-label extension study (I.M.P.A.C.T. 2) included nine pediatric patients. In both these studies, the responses to pdC1-INH in pediatric patients were similar to those observed in the adult population. The pdC1-INH formulation was also well tolerated—one pediatric patient experienced an adverse event in the placebo-controlled trial (elevated body temperature) and three pediatric patients in the open-label study had an adverse event that was possibly related to treatment . The Berinert registry discussed previously included 18 children (age, < 12 years) and 21 adolescents (age range, 12 to < 17 years). The majority of patients used pdC1-INH for on-demand treatment only, generally outside of the health-care setting. The mean dose per infusion was 17.3 IU/kg in children and 14.3 IU/kg in adolescents. Adverse event rates per infusion among pediatric patients (children and adolescents) were similar to those observed in adults from the registry (0.03). None of the adverse events observed in pediatric patients were serious or considered related to pdC1-INH. No thromboembolic events occurred in pediatric patients and no adverse events related to blood-borne viral infections were observed . Lumry et al. evaluated the efficacy of a single dose of the pdC1-INH formulation marketed as Cinryze® (500, 1000, or 1500 IU) in the acute treatment of HAE attacks in a small cohort of very young patients (n = 9; age 2 to < 12 years). In this cohort, three patients were treated with 500 IU, three with 1000 IU, and three with 1500 IU pdC1-INH (IV). All patients had onset of unequivocal relief of the defining symptom within 4 h following initiation of treatment, with a median time to relief of 0.5 h (range, 0.25−2.5 h) . In the USA, the pdC1-INH formulation marketed as Cinryze® is not currently FDA approved for acute use in adults or children . The rhC1-INH product (Ruconest®) was approved by the FDA in 2014 for the treatment of acute attacks in adolescent and adult patients with HAE [23, 35]. The efficacy and safety of rhC1-INH have been evaluated in three RCTs and two open-label extension studies. In two similarly designed, placebo-controlled RCTs, patients (≥ 12 years or ≥ 16 years) with onset of attack symptoms within 5 h and an overall severity visual analog score (VAS) of ≥ 50 mm were randomized to receive rhC1-INH at 50 or 100 IU/kg (n = 70) or placebo (n = 29) . The primary efficacy endpoint was the time to onset of relief of symptoms and the key secondary endpoint was the time to minimal symptoms. The median time to onset of symptom relief was 66 min (P < 0.001), 122 min (P = 0.013), and 495 min in the 100 IU/kg rhC1-INH, 50 IU/kg rhC1-INH, and placebo groups, respectively. Median time to minimal symptoms was also significantly reduced in the groups treated with the two doses of rhC1-INH vs. placebo (266 and 247 min vs. 1210 min; P < 0.001 and P = 0.001 vs. placebo, for 100 and 50 IU/kg, respectively) . In a third trial, 75 patients with HAE were randomized (3:2) to rhC1-INH (50 IU/kg up to 4200 IU/treatment) or placebo. Median time to beginning of symptom relief at the primary attack location, as measured by patient responses on a Treatment Effect Questionnaire (TEQ), was 90 min in patients treated with rhC1-INH compared with 152 min for patients in the placebo group (P = 0.031). When measured based on ≥ 20-mm reductions in the VAS, the median time to onset of symptom relief was 75 min for patients treated with rhC1-INH vs. 303 min with placebo (P = 0.003). Median time to minimal symptoms was also shorter in patients treated with rhC1-INH vs. placebo based on the TEQ and the VAS (TEQ: 303 vs. 483 min [P = 0.078]; VAS: 240 vs. 362 min [P = 0.005]) . In an integrated analysis of seven RCTs and open-label extension studies, rhC1-INH was well tolerated; the most common adverse events were headache, nausea, and diarrhea . The rhC1-INH formulation is being evaluated as acute treatment in an ongoing open-label, single-arm, and phase 2 safety study of children 2 to 13 years of age. Patients in this trial received a single injection of rhC1-INH 50 IU/kg (patients < 84 kg) or 4200 IU (patients ≥ 84 kg). In addition to safety parameters, the onset of relief, time to minimal symptoms, and time to complete resolution of symptoms were assessed . A total of 20 children have been treated for 73 attacks. Preliminary results from this study indicate that rhC1-INH is well tolerated, with no related serious adverse events, hypersensitivity reactions, or neutralizing antibodies. The median time to onset of relief was 60 min (95% CI, 60−63 min) and the median time to minimal symptoms was 122 min (95% CI, 120−126 min). Three of 74 attacks (4%) required a second dose of rhC1-INH . The 2017 WAO/EAACI guidelines recommend C1-INH as first-line therapy for prophylactic treatment of HAE . Prophylactic therapy with twice-weekly IV or SC administration of C1-INH has been shown to significantly reduce the frequency and severity of HAE attacks in patients with HAE and is associated with improvements in quality of life . In addition, the WAO/EAACI guidelines, along with other consensus guidelines, recommend C1-INH replacement therapy for long-term prophylaxis in pediatric patients [10, 31]. A C1-INH formulation (Cinryze®) that is administered intravenously was approved by the FDA in 2008 for routine prophylaxis for HAE attacks in adult and adolescent patients based on a 24-week, placebo-controlled crossover study in 24 patients with HAE [24, 40]. Patients (≥ 6 years of age) were randomly assigned to receive C1-INH (IV) 1000 IU or placebo every 3 to 4 days during two consecutive 12-week periods in a crossover fashion . The mean time-normalized number of attacks during the two 12-week crossover periods (primary endpoint) was 6.26 for C1-INH (IV) and 12.73 for placebo (P < 0.001). The need for rescue medication was reduced, with 11 of 22 patients (50%) requiring rescue therapy during C1-INH (IV) prophylaxis vs. 22 during placebo treatment. C1-INH (IV) was well tolerated, with only three adverse events (pruritus and rash, lightheadedness, and fever) classified as possibly related to treatment . The C1-INH (IV) formulation was evaluated as prophylaxis in an open-label multicenter extension study in 146 patients with HAE treated for up to 2.6 years with 1000 IU administered intravenously every 3 to 7 days . The primary efficacy parameter was the number of angioedema attacks and was compared with the historical attack rate. The median number of attacks per month was reduced by 93.7% during prophylaxis compared with the historical rate of attacks (0.19 vs. 3.0; P < 0.001); 88% of patients (n = 128) had ≤ 1 attack per month and 35% of patients (n = 51) were attack-free during prophylaxis. Approximately 7.5% of patients continued to have frequent attacks despite twice-weekly prophylaxis. Most patients required twice-weekly dosing, although a subgroup achieved control with once-weekly treatment . Based on the observation that some patients treated with C1-INH (IV) were not adequately controlled on the indicated dose of 1000 IU every 3 or 4 days, a trial was conducted to evaluate the safety of escalating doses of C1-INH (IV) . Patients with inadequate control on the 1000-IU dose regimen and > 1 attack per month during the 3 months before the trial were eligible. Patients were treated with C1-INH (IV) 1500 IU every 3 or 4 days for 12 weeks; those who continued to have > 1 attack per month were eligible for further escalation to 2000 IU and then 2500 IU every 3 or 4 days. Of the 20 patients who started therapy at 1500 IU, 13 were escalated to 2000 IU, and 12 were escalated further to 2500 IU. A total of 18 patients reported adverse events, but no patients discontinued due to these events. Four serious adverse events were reported but none were considered to be related to treatment . Based on the findings of this study, the approved labeling for C1-INH (IV) allows dose escalation up to 2500 IU every 3 to 4 days for patients who do not respond adequately to the 1000-IU dose regimen . Lumry et al. evaluated the efficacy of C1-INH (IV) in pediatric patients treated in the pivotal prophylaxis study for this product and the open-label extension study [41, 42, 43]. Among the four pediatric patients (age 9–17 years) enrolled in the placebo-controlled crossover study, the mean number of attacks decreased from 13.0 during the 12-week placebo period to 7.0 during the 12 weeks of C1-INH (IV) prophylaxis. In the open-label extension study, 23 pediatric patients age 2 to 17 years received routine prophylaxis with C1-INH (IV) 1000 IU every 3 to 7 days . The median attack rate per month among pediatric patients decreased from 3.0 (range, 0.5−28.0) before enrollment to 0.39 (range, 0−3.36). During prophylaxis with C1-INH (IV), 87% of pediatric patients reported ≤ 1 attack per month and 22% were attack-free . A phase 3 multicenter, dose-ranging crossover study evaluated six pediatric patients aged 6 to 11 years who were randomized to receive twice-weekly C1-INH (IV) for 12 weeks in two treatment sequences in a crossover manner (500 IU followed by 1000 IU and 1000 IU followed by 500 IU). All patients were female with type I HAE (median age, 10.5 years). The number of attacks per month decreased from 2.26 at baseline to 0.37 with both doses (84.8% reduction for 500 IU and 88.1% reduction for 1000 IU). In addition, the attack severity and number of attacks requiring rescue medication were reduced during prophylaxis with C1-INH (IV) . The first subcutaneously administered C1-INH formulation (C1-INH [SC]) was approved by the FDA in June 2017 for routine prophylaxis against HAE attacks in adolescents and adults (Haegarda®) [25, 45]. The recommended dose of this highly concentrated formulation is 60 IU/kg, equivalent to 4500 IU for a person weighing 75 kg, given subcutaneously twice weekly . Every 500 IU of C1-INH (SC) is reconstituted with 1 mL of sterile water before administration . Pharmacokinetic studies indicate that mean C1-INH functional activity after administration of C1-INH (SC) 60 IU/kg ranged from 63.9 to 69.4% in adults, close to the low-normal range in healthy adults (70%) . The pivotal phase 3, randomized, multicenter, double-blind, placebo-controlled, crossover study (COMPACT [Clinical Study for Optimal Management of Preventing Angioedema with Low-Volume Subcutaneous C1-Inhibitor Replacement Therapy]) compared twice-weekly prophylaxis with C1-INH (SC) vs. placebo in patients with frequent HAE attacks . In this trial, adolescent and adult patients (age ≥ 12 years) experiencing at least four HAE attacks over a consecutive 2-month period received twice-weekly injections of C1-INH (SC) (40 or 60 IU/kg) as prophylaxis and corresponding high-volume or low-volume placebo during two consecutive 16-week treatment periods in a crossover manner. All injections were self-administered and patients were allowed to use rescue medication as needed . The primary endpoint in this trial was the time-normalized number of HAE attacks and was evaluated in the intent-to-treat population. Patients experienced significantly fewer attacks during prophylaxis with C1-INH (SC) 60 or 40 IU/kg compared with the placebo period, with the 60-IU/kg dose having a greater treatment effect (60 IU/kg: 0.52 vs. 4.03 attacks/month, mean difference of − 3.51 attacks, P < 0.001; 40 IU/kg: 1.19 vs. 3.61 attacks/month, mean difference of − 2.42, P < 0.001). With C1-INH (SC) 60 and 40 IU/kg prophylaxis, the median attack rate was reduced by 95% and 89%, respectively, relative to placebo. Of the 45 patients randomized to the 60-IU/kg dose, 25 patients had 71 attacks on 60 IU/kg C1-INH (SC), and 42 patients had 472 attacks on corresponding placebo . Eighteen of 45 patients (40%) were attack-free during prophylaxis with C1-INH (SC) 60 IU/kg vs. none during the placebo period. Use of rescue medication decreased significantly during prophylaxis with C1-INH (SC) 60 IU/kg compared with placebo (0.32 vs. 3.89 uses/month; P < 0.001). With C1-INH (SC) 60 IU/kg, the mean reduction in use of rescue medication relative to placebo was 89% and the median reduction was 100%. The average severity of HAE attacks was lower during prophylactic treatment with C1-INH (SC) 60 IU/kg than during the placebo period. A total of 31 patients (68.9%) had at least one severe attack during the placebo period vs. 4 patients (8.9%) during prophylaxis with 60 IU/kg C1-INH (SC) . No patient experienced a laryngeal attack during prophylaxis with 60 IU/kg C1-INH (SC) . The most common adverse events with C1-INH (SC) were injection-site reactions, 95% of which were mild. No serious adverse events occurred with C1-INH (SC) 60 IU/kg. In addition, no seroconversions for human immunodeficiency virus or hepatitis B or C were observed. No anaphylactic reactions were observed and no inhibitory antibodies to C1-INH were detected . The prophylactic efficacy of rhC1-INH was studied in a recent phase 2, randomized, double-blind, and placebo-controlled crossover trial . Patients (≥ 13 years of age) with a history of ≥4 HAE attacks per month for at least 3 months before study initiation were eligible. Patients received each of the following treatments in a randomized sequence for 4 weeks with a 1-week washout between treatment periods: rhC1-INH (50 IU/kg up to 4200 IU maximum) twice weekly, rhC1-INH once weekly and placebo once weekly, and placebo twice weekly. The mean number of HAE attacks per 4 weeks was significantly reduced with rhC1-INH twice weekly and once weekly, with mean differences of − 4.4 attacks (P < 0.0001) and − 2.8 attacks (P = 0.0004), respectively, vs. placebo . Headache and nasopharyngitis were the most common adverse events. No thrombotic/thromboembolic events, systemic allergic reactions, or neutralizing antibodies were reported. In the USA, rhC1-INH is currently approved for acute treatment of HAE but not for long-term prophylaxis . Tissue trauma occurs with certain dental and surgical procedures, which may activate the contact system. In patients with HAE, this activation is uninhibited by C1-INH and can trigger attacks of angioedema. The general risk of perioperative angioedema without preprocedural prophylaxis is estimated to range from 5.7 to 30.5% . Bork et al. observed 124 attacks of angioedema following 577 dental extractions in the absence of short-term prophylaxis (88 facial, 8 laryngeal, 28 combined) . Postprocedural attacks typically occur within 48 h. Risk factors for postprocedural attacks of HAE may be directly related to the area of trauma and manipulation, as well as patient tolerance for similar procedures previously performed. Therefore, the decision to use short-term prophylactic therapy should take into consideration the patient’s surgical history. The risk of angioedema after a procedure may also be related to factors such as anesthesia, psychological stress, and underlying disease . The WAO/EAACI guidelines recommend the use of C1-INH for preprocedural prophylaxis . In the USA, no C1-INH therapies are specifically indicated for short-term prophylaxis; however, in the European Union, both C1-INH (IV) formulations (Berinert® and Cinryze®) are approved for preprocedural prophylaxis [52, 53]. Studies of short-term prophylaxis with C1-INH have shown that preprocedural administration of C1-INH (IV) within a few hours of a dental or surgical procedure can effectively abrogate attacks if dosed appropriately [20, 51, 54, 55]. In a study by Farkas et al., five attacks were observed after 87 procedures despite short-term prophylaxis with C1-INH (IV) 500 IU, a dose that is today generally recognized as subtherapeutic . In a study of short-term prophylaxis before dental extractions, Bork et al. reported 12 attacks following 75 procedures using 500 IU C1-INH (IV) and 4 attacks following 53 extractions using 1000 IU C1-INH (IV) . In a retrospective analysis, Grant et al. reviewed data from two clinical trials in which at least 1000 IU C1-INH (IV) was administered as short-term prophylaxis within 24 h before a medical, surgical, or dental procedure . In this review of 41 patients (including 8 pediatric patients) undergoing 91 procedures, only 2 procedures were followed by angioedema attacks within 72 h and both were treated successfully with C1-INH . In a smaller study by Gavigan et al. of 12 patients with HAE type I, no postprocedural attacks were observed during 24 surgical procedures when C1-INH (IV) (Berinert®) dosed by body weight at 10–20 IU/kg was administered as short-term prophylaxis . In this study, most patients received a dose corresponding to 1000 to 2000 IU, considerably higher than the 500-IU doses used in earlier studies. These studies suggest that C1-INH doses higher than 1000 IU may be required to effectively prevent postprocedural angioedema attacks. Real-world data appear to support the finding that higher doses of C1-INH may be needed to completely prevent postprocedural HAE attacks . The Berinert registry is one of the few data collections on individuals using C1-INH (IV) for any reason (acute treatment, short-term prophylaxis, or both) . In the Berinert registry, investigators were asked to cite the reason for use by designating C1-INH infusions as “acute treatment,” “prophylaxis,” or “other.” During the analysis phase of the Berinert registry, C1-INH infusions that were designated by the investigator as “prophylaxis” and administered more than 7 days before or after any other prophylactic infusion or administered after a medical or dental procedure were considered to be short-term prophylactic infusions. The median C1-INH (IV) dose per short-term prophylactic infusion was 14.6 IU/kg or 1000 IU. The primary data collected were the attack rates within 1, 2, and 3 days of the infusion. The cumulative attack rates at 1, 2, and 3 days of the short-term prophylactic infusion were 0.04 (95% CI, 0.015−0.088), 0.06 (95% CI, 0.028−0.115), and 0.11 (95% CI, 0.061−0.174), respectively . Dose-response analysis of HAE attack rates at 1, 3, and 7 days after a short-term prophylactic infusion of C1-INH (IV) suggested higher efficacy with weight-based doses of ≥ 15 IU/kg and absolute doses of ≥ 1500 IU . It should be noted, however, that the confidence intervals overlapped, in some cases due to the small number of events. The registry data suggest a trend toward greater efficacy with higher doses of C1-INH (IV) and confirm the findings of the clinical studies discussed previously. Current recommendations for infusing C1-INH concentrate suggest that higher doses for short-term prophylaxis be administered as close as possible to a potential triggering event. As always, on-demand rescue medication should be readily available if breakthrough attacks occur despite short-term prophylaxis with C1-INH [7, 9, 10]. Before the development of HAE-specific acute and prophylactic therapies, oral attenuated androgens were commonly used to prevent HAE attacks . While the direct cost of androgens is less relative to other HAE medications, androgens are generally not favored in the medical community, due to the significant adverse effects, long-term safety concerns/complications, and limitations in usage among children and female patients of reproductive age [10, 57]. The direct costs of newer HAE-specific acute and prophylactic therapies, including C1-INH products, are greater, as is the case with many orphan drugs for rare diseases . The variability in disease activity and burden in patients with HAE and the lack of head-to-head trials comparing agents make it difficult to compare the cost-effectiveness of these therapies. Pharmacoeconomic analyses have evaluated acute therapies for HAE based on the costs to resolve symptoms of an attack, taking into consideration drug acquisition costs, dosing, location of administration (self-administration at home vs. administration at a health-care facility), other medical costs (e.g., need for vaccinations), and need for additional doses [59, 60, 61]. Several studies have found that treatment of acute attacks at home with self-administered medication can result in faster resolution of symptoms and lower costs compared with treatment administered by a health-care professional [12, 62]. An indirect cost comparison of pdC1-INH to other therapies for HAE such as icatibant and ecallantide found that use of pdC1-INH resulted in cost savings to US payers compared to these other agents . However, a study in the UK found that icatibant was associated with lower treatment costs vs. pdC1-INH 20 IU/kg mainly due to lower drug acquisition costs in that country and a higher rate of self-administration . A study from the Polish payer perspective found that rhC1-INH is associated with potentially lower costs and higher probability of cost-utility compared with pdC1-INH . All such analyses are based on complex factors with high variability between patients, health-care systems, and local health-care practices and policies, thereby weakening the generalizability of the findings. Further, such analyses tend to oversimplify the complexity of patient morbidity and quality-of-life, which are more difficult to quantify but are ultimately a critical measure of treatment success. Until recently, the only C1-INH product approved for prophylactic use in the USA was C1-INH (IV) . The recent introduction of C1-INH (SC) into the market has resulted in competitive pricing  and has made direct cost comparisons between prophylactic therapies more feasible. In a preliminary cost analysis of prophylactic C1-INH formulations, C1-INH (SC) was found to be cost-saving from a payer perspective compared with C1-INH (IV), based on a lower breakthrough attack frequency and attack-related costs . The development of additional acute and prophylactic agents, particularly those that facilitate self-administration, may result in more competitive pricing and help drive down the costs of treatment. C1-INH replacement therapy has been the foundation of HAE acute treatment for several decades. The development of on-demand IV plasma-derived and recombinant C1-INH replacement therapies has enabled patients to effectively treat HAE attacks as soon as symptoms are recognized, with onset of relief possible as early as within 30 min and complete resolution of symptoms within hours instead of days. However, the burden of the disease itself remains high—patients experience recurrent and debilitating attacks and approximately 50% of patients will experience at least one laryngeal attack over their lifetime , which may be fatal if not treated promptly. Despite the availability of acute treatments, HAE still causes considerable anxiety and fear of future attacks, with a significant impact on quality of life, even between attacks [66, 67]. The goal of the HAE management plan is to restore a sense of normalcy to patients’ lives―prophylactic therapy with C1-INH can help achieve this goal, particularly when on-demand treatment alone does not. Patients with very frequent attacks, severe symptoms, and/or associated disability and anxiety may derive particular benefit from prophylactic therapy. The most recent WAO/EAACI guidelines on the management of HAE recommend C1-INH as a first-line therapy for long-term prophylaxis . In the USA, two C1-INH replacement therapies, an IV and an SC formulation, are approved for prophylactic use in patients with HAE. Both are effective and well-tolerated options for preventing HAE attacks. However, therapy with C1-INH (IV) requires continued venous access, which may be difficult to maintain in the long term as repeated IV administration may result in loss of venous access over time [7, 68]. For these patients, indwelling ports may facilitate venous access but are associated with a significant risk of infection and thrombosis, and their use is therefore discouraged by the Medical Advisory Board of the US HAE Association . The C1-INH (SC) formulation allows the delivery of large concentrated doses of C1-INH and maintenance of improved steady-state plasma concentrations of C1-INH compared with C1-INH (IV) dosed at 1000 IU every 3 or 4 days . Pharmacokinetic studies suggest that functional C1-INH activity can be maintained close to the low-normal range in healthy adults (70%) when C1-INH (SC) is administered at the approved dose of 60 IU/kg . Subcutaneous injections of C1-INH were well tolerated in clinical trials despite the high concentrations delivered, with no serious or severe injection-site reactions observed. As noted by the FDA and in the 2017 WAO/EAACI guidelines, the SC route of administration of this product may make it more convenient for patients and caregivers to administer C1-INH prophylactic therapy at home [10, 45]. The ability to reduce the frequency and severity of HAE attacks with self-administered SC injections may make C1-INH prophylactic therapy more acceptable to patients and caregivers and reduce the burden of disease for individuals with HAE. NCF Health, LLC, provided medical writing assistance, which was funded by CSL Behring. H. Henry Li has served as a consultant and on the speakers bureau for CSL Behring, Shire, and Pharming. Jay Kashkin is a consultant for and serves on the speakers bureau for Shire, CSL Behring, and Pharming; serves on scientific advisory boards for Shire and CSL Behring; and is an investigator for Shire and BioCryst. Marc Riedl is a consultant for Shire, CSL Behring, Pharming, BioCryst, Adverum, Alnylam, and Kalvista; serves on the speakers bureau for Shire, CSL Behring, and Pharming; and has received research grants from Shire, CSL Behring, Pharming, and BioCryst. ClinicalTrials.gov. Patient registry study of Berinert® in normal clinical practice. https://clinicaltrials.gov/ct2/show/NCT01108848. Accessed 2 February 2018. FDA approves new product to treat rare genetic disease [press release]. Lieden, Netherlands: Pharming Group; 17 July 2014. https://www.fiercepharma.com/pharma/fda-news-release-fda-approves-new-product-to-treat-rare-genetic-disease. Accessed 2 February 2018. ClinicalTrials.gov. Safety of Ruconest in 2–13 year old hereditary angioedema (HAE) patients. https://clinicaltrials.gov/ct2/show/NCT01359969. Accessed 2 February 2018. Pharming announces positive data from paediatric clinical trial with Ruconest [press release]. Amsterdam: Pharming Group; 2 October 2017. https://www.pharming.com/pharming-announces-positive-data-from-paediatric-clinical-trial-with-ruconest/. Accessed 2 February 2018. FDA approves Cinryze [press release]. New York, NY: Lev Pharmaceuticals Inc.; 10 October 2008. https://www.drugs.com/newdrugs/cinryze-receives-fda-approval-prophylaxis-against-hereditary-angioedema-attacks-1150.html. Accessed 2 February 2018. Berinert [summary of product characteristics]. West Sussex, UK: CSL Behring UK Ltd; 2017. https://www.medicines.org.uk/emc/product/6523/smpc. Accessed 2 February 2018. Cinryze [summary of product characteristics]. Chineham, Basingstoke, Hampshire: Shire Pharmaceuticals; 2017. https://www.medicines.org.uk/emc/medicine/25634/SPC/Cinryze+500+Units+powder+and+solvent+for+solution+for+injection/. Accessed 2 February 2018.